The award recognizes the most powerful and impactful female leaders in the staffing industry, honoring the women who are affecting staffing firms and by extension, the world of work. Hoersten is responsible for driving and managing new and existing business at LaSalle Network, as well as overseeing all recruiting functions. Hoersten, who joined LaSalle Network over 15 years ago as a business development manager, has not only achieved many personal milestones on her climb to COO but has helped LaSalle achieve many, as well. Through her leadership efforts, Maureen has helped LaSalle receive more than 100 culture and revenue-based awards, including Inc. magazine’s “Inc. 5000” list of fastest-growing privately held companies for 11 consecutive years, SIA’s “Fastest-Growing Staffing Firms” for six consecutive years and its “Best Staffing Firms to Work For” list the last seven years, Fortune’s “Best Companies to Work for in Chicago” and “Best Medium Workplaces,” Forbes’ “Best Professional Recruiting Firms’” and to Inc. Magazine’s “Best Workplaces” list. She has been recognized as one of Chicago Business Journal’s “Women of Influence,” and has been featured by CNBC, Fast Company, Chicago Tribune, among others on recruiting and retaining top talent. Click here for the full list of winners. Hoersten, along with all honorees, will be featured in the November/December issue of SI Review magazine. For more information on LaSalle Network, please visit www.lasallenetwork.com or contact Heather Youkhana at 312-496-6562 or hyoukhana@lasallenetwork.com. LaSalle Network is a national staffing, recruiting and culture firm with business units that specialize in accounting and finance, administrative, call center, healthcare revenue cycle, human resources, management resources, marketing, sales, supply chain, technology and executive search. Since inception in 1998, LaSalle has worked with thousands of clients and placed thousands of candidates in temporary, temporary-to-permanent and permanent positions. Its newest offering, Culture 20/20, works with companies of all sizes and industries to help them focus on what matters: Culture. Performance. Results. 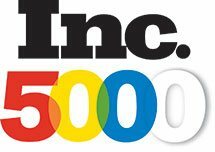 LaSalle Network has been listed on Inc. Magazine’s 500/5000 “Fastest-Growing Privately Held Companies in America” list for 11 consecutive years, named by Staffing Industry Analysts as a top five “Best Staffing Firms to Work For” from 2011 to 2017, Glassdoor’s 2016 “Best Places to Work,” Inc. Magazine’s 2016 and 2018 “50 Best Workplaces,” Forbes’ 2018 "America’s Best Professional Recruiting Firms" list, and Crain’s Chicago Business’ “Best Places to Work” list from 2014 to 2018. The firm has offices in downtown Chicago, Nashville, Oak Brook and Schaumburg. For more information, please call 312-419-1700 or visit www.lasallenetwork.com. June 20, 2017 – Want to retain the best employees? Click here for tips on how. Tom Gimbel joins the Today Show’s Kathie Lee and Hoda to offer his advice on how graduates can land their first job. Watch the video here.